At Salinas Valley Dental Care, your first visit is an opportunity to get to know you and your dental needs. Plus, this time gives you a chance to meet our team and find out more about our office. 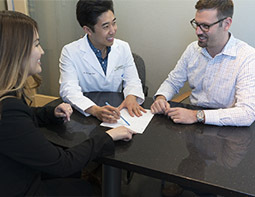 After the evaluation, our treatment coordinator will review your custom treatment plan that is specific to your needs and to the overall health of your mouth. Then the patient coordinator will go over what is to be expected at each appointment, fees, and answer any other questions you may have. If your dentist or physician has taken diagnostic radiographs, request that they forward them to our office. If additional diagnostic radiographs are necessary, they will be taken at our facility. Our New Patient Forms are now available for download so that you can complete your form at your convenience. This gives you the time you need to carefully review our policies and procedures outside of the office and makes your first visit easy. Click on the links below to download the forms online. 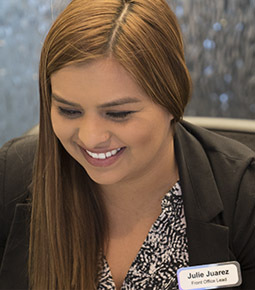 If you have questions regarding your account, please contact us at (831) 424-1535. Many times, a simple telephone call will clear any misunderstandings.